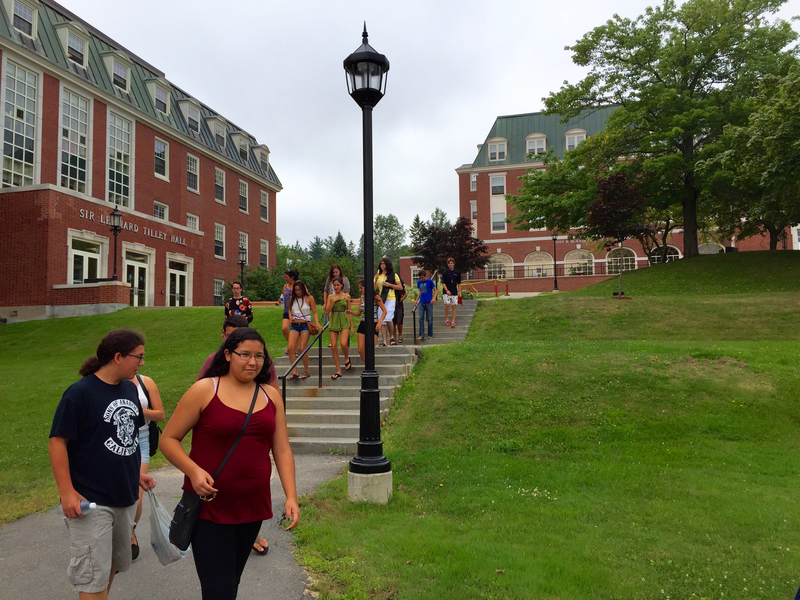 During the week of August 17, First Nation high school students from across the province came to the University of New Brunswick to get a taste of UNB student life at the Mi’kmaq-Wolastoqey Centre’s first summer camp: “UDiscover MWC @ UNB”. Students participated in mock classroom experiences in subject areas such as Math, Science, Kinesiology, and Nursing. Students visited the Institute of Biomedical Engineering and learned about the development of upper limb prosthetics. They also participated in a volcano activity at the Quartermain Earth Sciences Centre and they toured the Robotics Lab, where they learned to operate and control a robot. Not only did students learn in the classroom, but they discovered more about their Mi’kmaq and Wolastoqey cultures, histories, and worldviews. Elder-in-Residence, Imelda Perley and Director of MWC, David Perley exposed students to Mi’kmaq and Wolastoqey cultures through ceremony and practice. Students participated in drumming and chanting and learned the Honour Song in both New Brunswick’s First Nation languages; Mi’kmaq & Wolastoqey. By participating in a talking circle, students experienced the sharing of oral history and its significance in a vibrant culture. Later in the week, the Director of the Aboriginal Nursing Initiative, Lisa Perley-Dutcher, shared with the students the teachings of the medicine wheel to live a balanced and healthy life. Other exciting activities included team-building and leadership activities at Odell Park and a land-based learning day on Wolastoqey territory at Mactaquac Park.